Italian Mini Maxi Robertissima III leads the provisional Volcano Race classification following an intense duel with British near sistership Jethou . Only three yachts have finished the 230-nm race so far as capricious conditions dominate the second day. 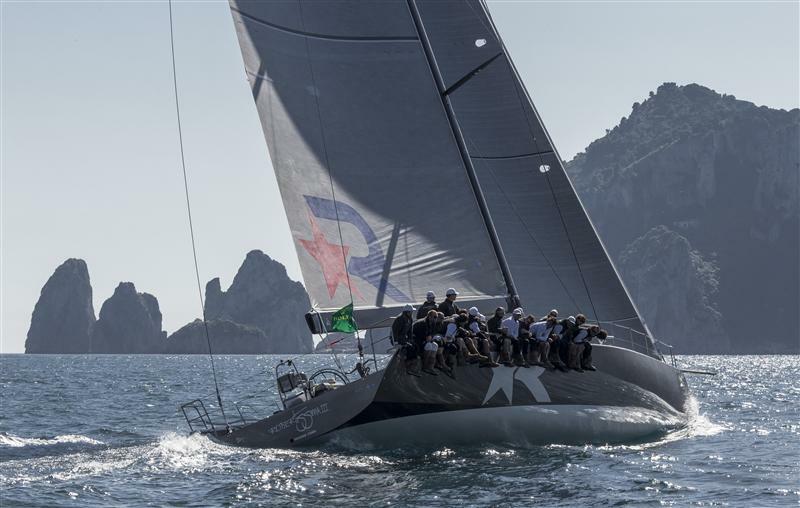 Meanwhile, just off Capri the TP52s undertook two windward/leeward races with Quantum Racing showing a strong hand. 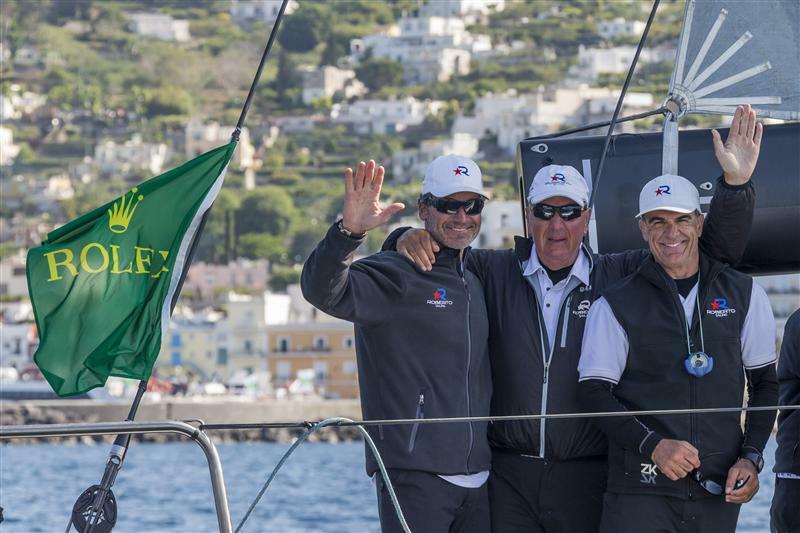 Roberto Tomasini’s JV72 Robertissima III finished the offshore percorso from Capri to Stromboli and back in second place on the water crossing the finish line three and a half hours behind line honours winner, Igor Simcic’s Esimit Europa 2 (SLO). For the eight boats still on the water the race is on to try an unseat Robertissima III from her seat atop the leaderboard. “This is my first time sailing these boats, and I don’t know them that well. (Jethou) were our primary competition and it seemed we were a little bit faster going to Stromboli in upwind conditions. Maybe we have a little more stability,” said Robertissima III's tactician Paul Cayard. A key point in the race came at the turning mark of Stromboli, where Esimit Europa 2sailed into a wind hole behind the volcanic island. According to Cayard, being conservative paid off. Jethou never made up the lost ground, arriving in Capri one hour and 12 minutes after the Italians.